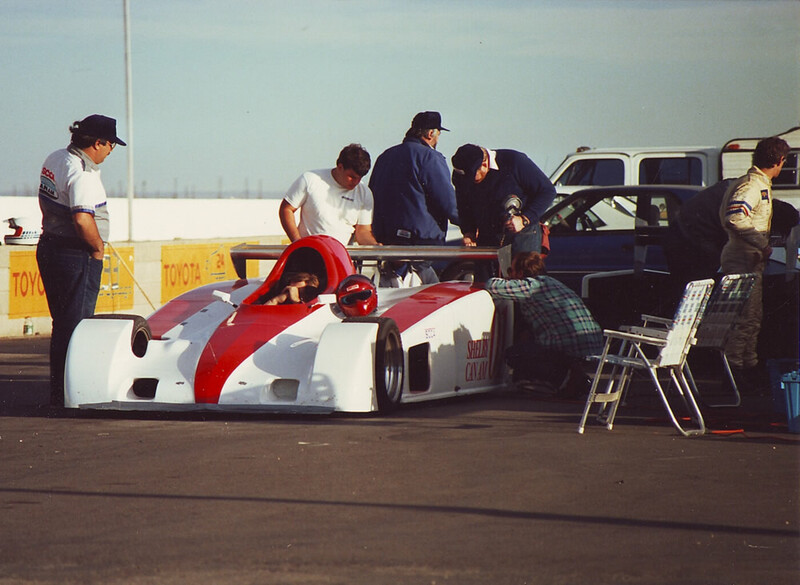 After the SCCA scrapped the Single-Seat Can-Am in 1986, there was one last attempt to bring life back to the Can-Am concept. In 1989, Carroll Shelby joined with the SCCA to design and develop a 'Shelby Can-Am' to be used in SCCA amateur and professional racing. This would be a 'spec formula' in that the cars would only race against each other and was intended to build on the success of the Sports Renault (now Spec Racer Ford) that had been running very successfully in SCCA racing since 1984. Peter Brock with the original model of the Shelby Can-Am. Copyright Peter Brock 2018. Used with permission. The Shelby Can-Am used a 3.3-litre Dodge V6 engine and a single-seater chassis with sports car bodywork - although the front wheels were not covered. 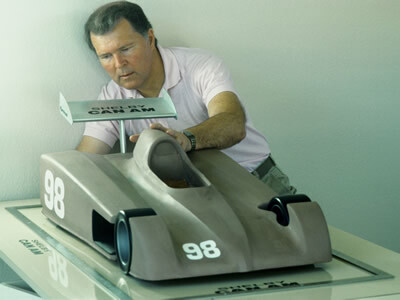 Two prototypes were built in 1989 and a series of cars were put into production by Racefab Inc in Texas for 1990. The cars were very strong; designed to be safe but also robust enough to survive many seasons of racing. 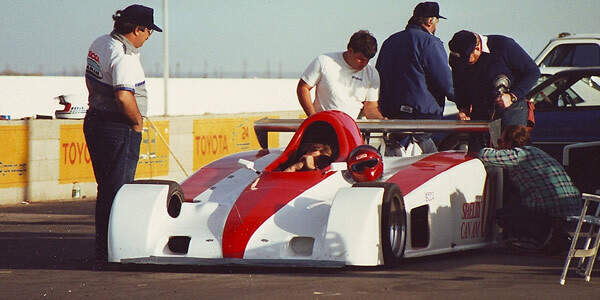 The SCCA did not recognise Shelby Can-Am as a class in 1990 because there were too few cars but it was given a demonstration event at the 1990 Runoffs and became a SCCA class for 1991. A 'Pro' series also started in 1991 and was tied that first season by ex-Formula Atlantic driver Scott Harrington and Campbell Soup heir Bennett Dorrance. The other champions over the next five years were Kyle Konzer, Gene Harrington, Mike Davies (twice) and Jerry Gilles. David Tenney won the amateur crown at the Runoffs in 1991 and 1992, then Davies won for the next three years before Jeffrey Tyler won in 1996. Shelby Can-Am was then dropped by the SCCA. However, this category refused to die. A total of 76 cars had been built and now had nowhere to run, so 28 of them were bought up and shipped to South Africa to create a new spec series there. These raced from 2000 onwards as Vodacom Sports Prototypes although the ageing Dodge engines were replaced by 3.5-litre Nissan VQ35 V6 engines for the 2002 season. For the 2005 season, the series returned to the Shelby Can-Am name and Vodacom dropped their support at the end of that year. For 2008, the cars were rebodied along the lines of modern Le Mans cars. Darryn Lobb won the 2009 title and there was still a championship in 2012 but all seemed to go quiet in 2013, and the website at www.shelbycanam.co.za disappeared. 2012 had been the 23rd season of racing for these cars. Meanwhile, the remaining US-based cars were raced as part of USERA (the United States Endurance Racing Association) until this vanished in 2010, and in historic racing. A website was still maintained at www.shelbycanam.com in 2018.